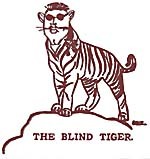 A new song for Lou Engel and the Blind Tiger. Gawd knows it's a doggone long trail the way they yodel it. I can truly and honestly title some of my stuff "at 3:00 A.M."
Remember when I used to warm your bed before you tumbled into it on cold winter nights? Well, I wish I had someone to warm mine now. I always envied your smooth way of talking, especially when it concerned "women" .... Look! She said I had a real line. And so on far into the night...... The 'Appy Outcast. "AFTER ALL -- 'Twas no less than a King that had yearnings for a horse."